WEBS Yarn Store Blog » In the Scene! In Knitscene that is! Have you checked out the latest issue yet? The winter 2008/spring 2009 issue has been out for a couple of weeks now and this is the first chance I’ve had to blog about it. We *heart* Courtney and Kate and were so excited to see this article about them. 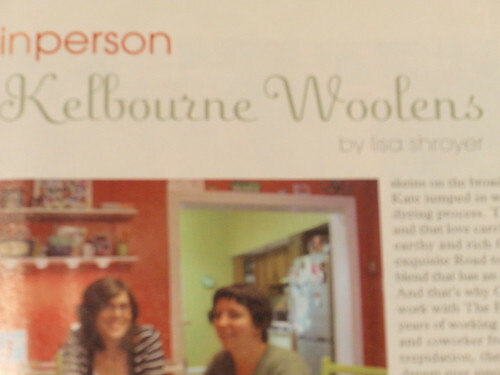 In case you don’t know they are the owners of Kelbourne Woolens, the exclusive distributor of The Fibre Company Yarns. These ladies are not only smart, but the kind of people you just want to be around. 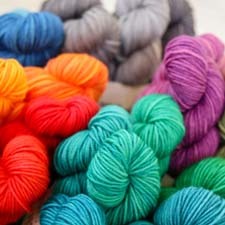 Check out the article to learn a bit more about them but also be sure to check out the yummy yarns from The Fibre Company. Get to page 42 and there’s a book excerpt from the upcoming simpleStyle by Ann Budd. Now, I’m going to be honest, page 16 and 22 had me pretty smitten when I first went through this issue so I really didn’t pay much heed to the excerpt. Until today. Today I received my advance copy of simpleStyle. Trust me, I’ll be talking much more about this book. It’s a keeper! Not only is this a design featuring our very own Berkshire Bulky, but it’s the amazing work of Carol Sulcoski. Yes! THAT Carol! She did that gorgeous design with one of our yarns! I feel like one of my kids just won some sort of competition! The beautiful shaping and the stitch pattern makes it seem that this cardigan was NOT knit in a bulky yarn! We’re going to be reknitting it ourselves in a different color (just to mix things up and give options) and it will be featured in our next catalog! My heartfelt thanks to Carol for choosing Berkshire Bulky. We’re far from the only game in town when it comes to yarn and we love how she made one of our babies shine! 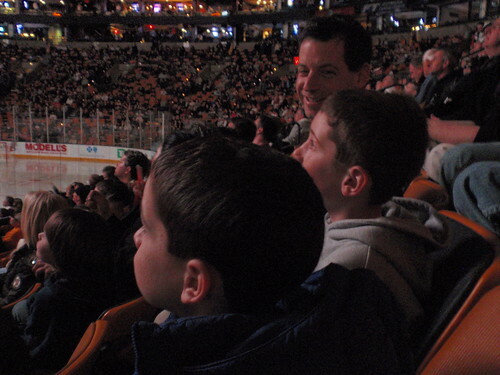 Other than the Bruins losing, it was a great time! 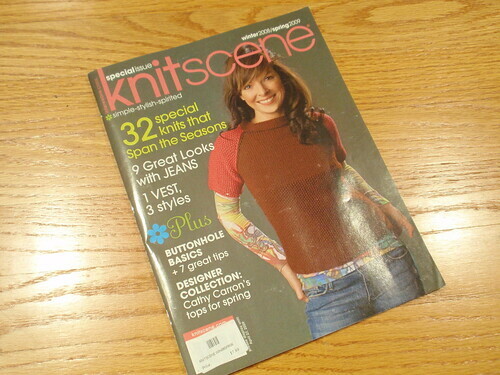 I’d love to know what you think of this issue of Knitscene and especially the Stacked Rib Cardigan! 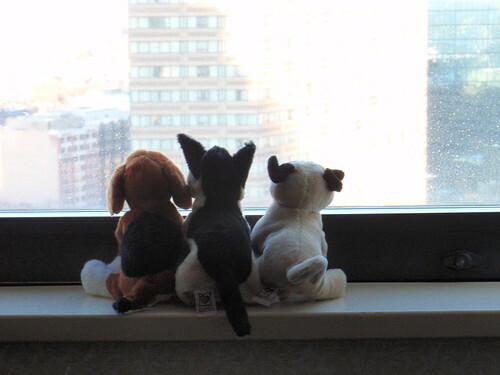 I’m hoping to have a fun surprise for you all tomorrow. Be sure to check in! 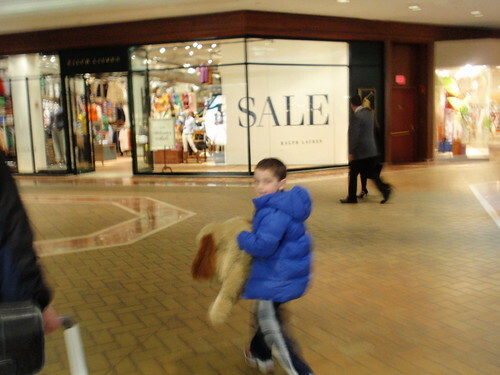 This entry was posted on Wednesday, February 4th, 2009 at 8:28 pm	and is filed under Authors & Designers, Elkins Family, Ready, Set, Knit Podcast, Valley Yarns. You can follow any responses to this entry through the RSS 2.0 feed. You can leave a response, or trackback from your own site. I don’t believe Jonathan finished the Taj Mahal! How can that be? It had a zillion pieces and he’s only 8. Wow! The Taj Mahal is awesome! The Taj Mahal is totally awesome! Way to go Jonathan! Congratulations to Jonathon on a hugely impressive Taj Mahal!!! My 10yr old is in total awe of Jonathons lego skills!! I thought about J2 when I was in the Lego store gaping at it all. And Gene’s decided that “I build Lego stuff at Downtown Disney” may be a cooler job title than “I pick up trash in the Magic Kingdom”. Yeah – he’s a pretty mad lego builder. There were a few moments of parental assistance but he really did most of it himself. I helped him sort pieces by color/type to keep him organized and he said “Now I know why they teach us sorting in kindergarten Mommy!” Priceless. 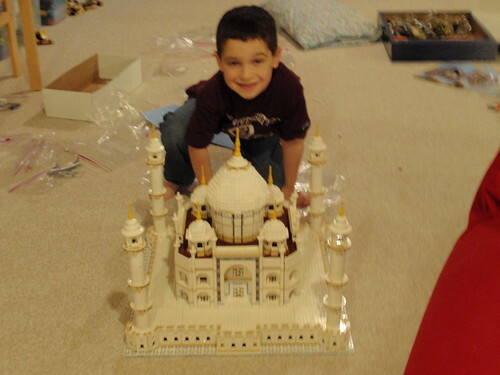 I am mad for Jonathan’s Taj Mahal—– how fabulous! 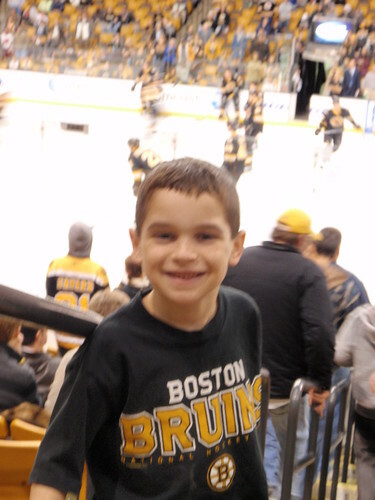 I immediately sent the picture to my grandson who is the same age (birthday this Saturday)! Of almost equal importance is the sweater, which I absolutely HEART, the pinkness rocks. Guess I need to get to Border’s eh? OMG, that Taj Mahal is AWESOME!!!! !